What to Ask A Sales Rep for 3D Printers? When comparing 3D printers, the first you’ll want to do is get the spec sheet for the printer and review a sample orthodontic model. Be sure and find out the resolution at which they printed the sample and which resin they used. The spec sheet should have almost all the information you need listed on it, but you may need to ask some additional questions for clarification. I have grouped by printer what information you’ll need to gather. The rest of the stuff that the sales reps will throw at you is just fluff. If a software company is selling a printer bundled with their orthodontic software, ask them who actually manufactures their printer. Unless they are manufacturing the printer top to bottom themselves (highly unlikely), they are simply marking up someone else’s printer. If the sales person tries to spin you that their version is special, odds are they are lying to you (you’ll have to verify with the original manufacturer to check). This is the case with Orchestrate3D; you don’t need their software to print, and they are bullshitting doctors by claiming their printer and resin is special. You can buy the exact same printer and resins direct from Park Dental Research for a lot less. Is this a Bottom-Up or Top-Down Printer? You can tell just by looking and it is almost certain that the printer will be a Bottom-Up-and-Peel style printer, but there are a few Top-Down printers in the orthodontic space. Currently CLIP is only available to rent through Carbon3D and are cost prohibitive. What is your build speed in mm/hr @ 100micron resolution? Again, evaluating build speed in terms of models per hour is too variable to allow for direct comparison. You’ll want to standardize this information. How big is the build platform? It is important to compare the size of the build platforms. Some like the Envisiontec Vida have a tiny build platforms barely the size of a 3×5 card. What different resins do you offer? You do not need biocompatible resins to print models, but if you want to direct print occlusal splints, denture bases, or indirect bonding trays some companies (FormLabs, Envisiontec, etc.) offer biocompatible resin materials for those purposes. What is the cost per liter for resin? Some companies they will obscure the cost of the resin by stating cost per model. Dental arches come in all shapes and sizes so it is hard to directly compare ongoing resin costs without standardizing the information. You’ll typically be able to print 40-60 models per liter of resin. What is the process to switch between resins? Depending on the design of the printer and the printing vat, it may be challenging to change between different types of resins with certain printers. This could be make or break, if you intend to switch between different types of resins frequently rather than printing models in batches. What training, installation, and support do you offer? Is this included? Some of the industrial printers have less than user friendly software and hardware so for some 3D printers it can help for them to hold your hand int he beginning. This is an area where you can get them to come down on price if you feel comfortable setting it up yourself. What is the layer thickness? This will be a range and reflects the Z axis resolution. This number affects surface quality and dimensional accuracy, but to a lesser degree than XY resolution. What is the pixel resolution of the DLP projector? Verify that their projector is an HD projector in full 1920 x 1080p and isn’t using fewer pixels. What is the range for your XY Resolution? Most companies are just publishing the low number in the range and your sales rep may not actually know the range. What is the XY resolution? For MSLA printers, this will only be one number because there are a set number of pixels in the LCD panel. The only company utilizing this technology in the orthodontic space right now the Structo/4Qube (the US reseller). The pixel size for the Structo/4Qube Orthoform is 97microns; their Dentalform printer offers a higher resolution for crowns, etc. What is your the minimum feature size? This is roughly equivalent to the laser spot size, but the minimum feature size also takes into account the amount and the extent of resin curing around the peripheral of the laser spot. What is the pointing precision of your galvos? This number in microns will tell you how accurately they can move the laser and the XY resolution of printed surfaces. Once you have gathered all the information and pricing for the full 3D printer package and you can make an apples to apples comparison, make sure you evaluate the value based on price per capacity per hour. If we have passed the golden age of orthodontics, we are certainly now entering the digital age. The digital space has been expanding significantly over the past few years and we are entering a new way of practicing our specialty. Beyond charting and scheduling, the digital influence has grown more since the introduction of Suresmile and Invisalign in the late 90’s. CBCT in 2000, and 3D models in 2001 have also lead to the digital innovations that we are more familiar with today. Imagine the changes we have seen in the past decade with improved digital workflow that includes digital imaging, digital treatment presentation tools, digital treatment planning, digital appliance design, and now digital appliance manufacturing. 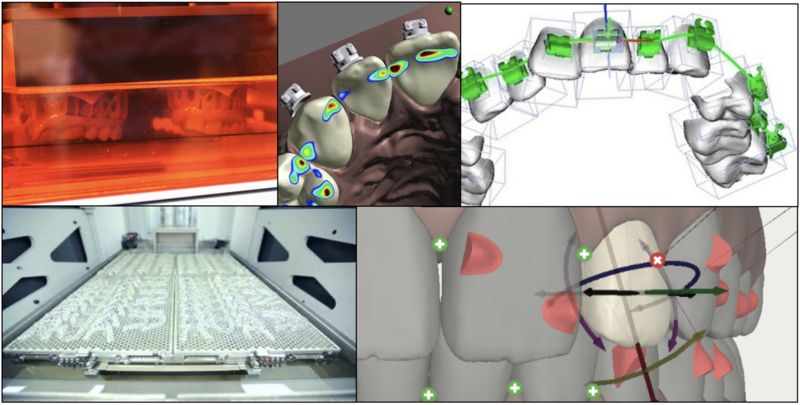 These innovations are thanks to the developments in CAD/CAM, 3D printing, 3D imaging, CBCT scanning, robotics, cloud computing, and other digital tools. And that begs the question: Is digital better? Almost all digital techniques start with basic benefits, and often have a rough start. In almost every circumstance, digital techniques have superseded analog techniques in efficiency and scalability. In most cases, digital innovations also improve outcomes and the user experience. Think about typewriters vs. word processor software, or paper maps vs. GPS. Photographers may debate that film is preferred to digital photography, but the conversion to digital photography has spawned an explosive growth of image sharing and content development that was never possible with an analog system. Think of all the areas of your life where digital has become standard. Would you ever go back to an analog system? Imagine that the same influence will evolve our profession. It’s not a matter of if, but when full digital workflow will become standard and a step above the analog methods we hold onto. How do we keep up with the digital workflow? We can start by embracing the new tools and developing the systems that improve our profession and keep us the leaders in orthodontic care. Sharing ideas, promoting learning and discussion of the new direction of our profession is our goal at Ortho Cosmos to keep us on top of the new digital age. Maximizing the benefits of Invisalign, 3D printing, CAD/CAM, 3D scanning and other techniques will help us keep one step ahead and remain relevant in our future. 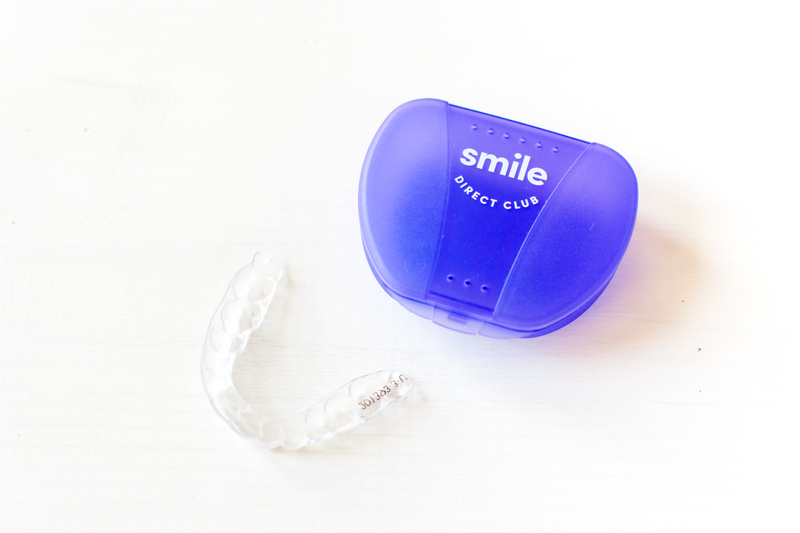 Innovation that helps expand access to care is a great thing for healthcare, so when I saw Smile Direct Club entering the market I was very intrigued. In theory, mail order aligners and at-home orthodontic treatment has the potential to be helpful to a number of patients who otherwise would not be able to see an orthodontist. However, as is the case in many areas of healthcare, corporate greed can often taint a promising approach to treatment. The inherent problem with Smile Direct Club is that it is not a doctor run organization; it is owned by Camelot Venture Group (Sharper Image, Lens Express, etc.). Their model is not about patient care, it is about profit, and they have been very successful at lobbying state legislatures to allow them to operate without the same oversight provided by state dental boards who’s mission is the protection of the public. Prospective buyers should treat this like any other medical decision and get multiple opinions. They may find that the local orthodontist they know and trust already offers comparable pricing for limited treatment as well as convenient at-home treatment. I thought it would be helpful if I could compile patient reviews of Smile Direct Club to make them easier to find. It took me a while, but I did my best to gather a representative sample of SDC reviews from people who actually appear to be verifiable patients of Smile Direct Club. I was hoping for better, but this is what I found. What Does Resolution Mean for SLA Printers? When someone asks the question, what is the resolution of a 3D printer? There’s not a one-number answer. Resolution is a factor of polymerization kinetics, the properties of the photopolymer, and optics of the light source, and your print quality is in turn impacted by the resolution in all three dimensions: the two planar 2D dimensions (X and Y) across the build platform, and the Z dimension (the height). To even begin to have a conversation about 3D printer resolution, you will have to consider at least two numbers: the minimum feature size of the XY plane and the Z-axis resolution (layer height). Furthermore, the planar (X and Y) and Z dimensions are generally controlled via very different mechanisms, so their resolutions will also be different and they need to be considered separately. There is also no standard that all 3D Printer manufacturers adhere to when discussing their resolution, so you begin to see why there is quite a bite of confusion about what the term “resolution” means in 3D printing. The Z-axis resolution, or layer height, for all 3D printers is easily determined and therefore widely reported even though it is less related to the overall output quality, but it is far less important to dimensional accuracy than the XY resolution and minimum feature size. MSLA or LCD-masked SLA printers are a bit different since the XY resolution is determined by how the LCD photomask was manufactured and the size of the pixels on the LCD so you will in fact get a single number and not a range. 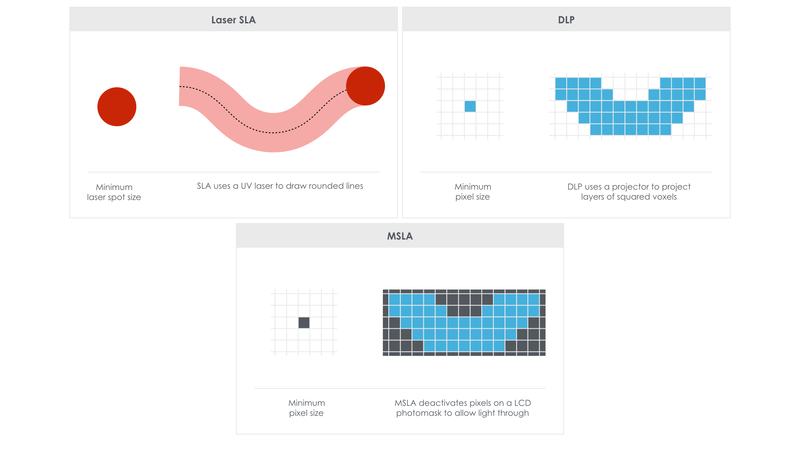 In both DLP-SLA and MSLA printers, the relationship between ‘minimum feature size’ and resolution is relatively uncomplicated. Since the layer images are projected, the XY resolution and the minimum feature size are equivalent. However, with laser SLA printers, ‘minimum feature size’ and XY resolution are related, but they are not exactly the same. Since layers are drawn with laser SLA technology, the XY resolution determined by the pointing precision of the galvos motors (the mirrors that point the laser), and how finely they can move the laser in each layer (finer than 10microns for Form2 printer). 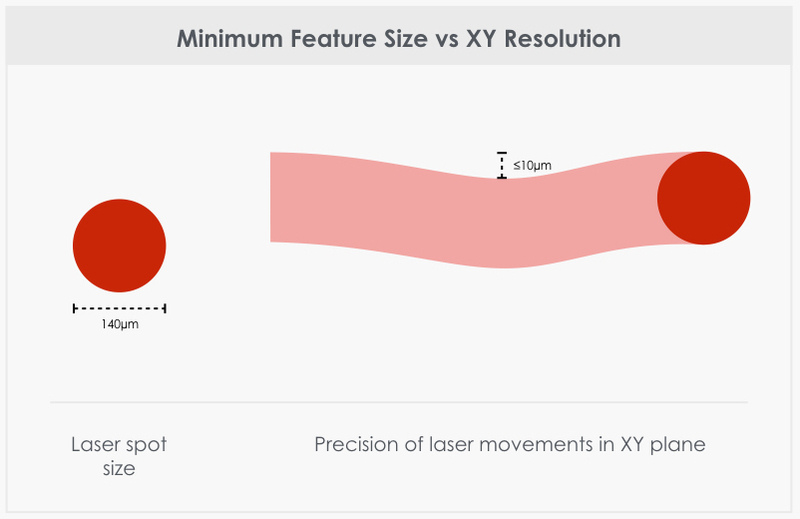 While the ‘minimum feature size’ in a laser SLA 3D printer is equivalent to the laser spot size. This makes comparing the XY resolution of laser SLA printers to DLP and LCD-masked printers challenging, especially considering many manufactures don’t publicize the pointing precision of proprietary galvos. Unlike DLP and MSLA, which have a fixed matrix of pixels relative to the build area, laser-based SLA machines are able to focus the laser beam on any XY coordinate. This means that laser SLA 3D printers using high-quality optics can more accurately reproduce the surface of a part even when the laser spot size is larger than the DLP pixel size. To illustrate this point about laser SLA, we can examine a dimensional accuracy study for the FormLabs Form2 printer. They examined 84 surgical guides printed with Dental SG resin and compared the printed guides with the original .STLs of the intended models and found dimensional accuracy within ± 100 microns over 93% of the surface area.For orthodontic applications, 100microns is excellent dimensional accuracy. 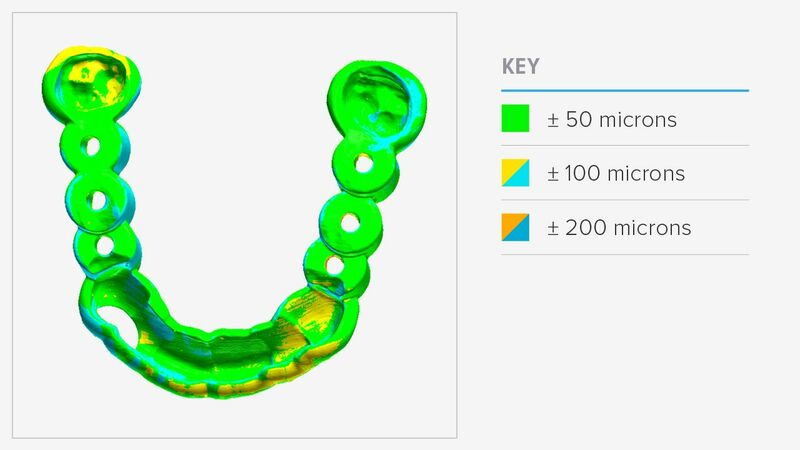 The difference map below shows an example 3D scan of a printed surgical guide using their Dental SG resin overlaid with the original 3D model. Even though the laser spot size of the Form2 is 140microns, you can see the high dimensional accuracy produced in much finer detail than the laser spot size. Make sure you are comparing apples to apples when examining the resolution of 3D printers for your orthodontic practice. Hopefully, this information should help. The word “stereolithography” comes from the Greek words “stereo,” meaning solid, and “(photo)lithography,” which is a form of ‘writing’ with light. Stereolithography with your 3D printer does exactly that: drawing solids with light one layer at a time. There are three main categories of SLA processes, laser-based stereolithography (laser SLA), digital light processing stereolithography (DLP-SLA), and masked SLA (MSLA). For all these processes, a vat of photo-reactive liquid resin is selectively exposed to light in order to form very thin solid layers that stack up to create one solid object. Even though laser-based SLA, DLP-SLA, and MSLA are all types of stereolithography and utilize similar technology, they can produce significantly different outputs. Understanding the subtle difference involved in each 3D printing process will help you know what to expect from your final builds, how to better design your production workflows and maximize the potential each type of machine, and make more informed purchasing decisions. Let’s dive into what exactly that means. Laser-based SLA was the original means of stereolithography that was developed in 1986 by Charles Hull, co-founder of 3D Systems. The technology works by using a UV laser to draw each layer of the object and uses two mirrors driven by a motor, known as galvanometers or ‘galvos’ (one on the X axis and one on the Y axis), to rapidly aim the laser beam across the print area, solidifying resin as it moves along. In order to create a solid object the design must be broken down, layer by layer, into a series of points and lines that are given to the ‘galvos’ as a set of coordinates and the laser traces them out. Laser SLA Orthodontic 3D printer examples: FormLabs Form2. DLP-SLA uses a digital projector to flash a single image of each layer across the entire platform at once. Because the image of each layer is digitally displayed, it is composed of numerous square pixels, resulting in a layer formed from small rectangular bricks called voxels that stack up along the Z axis. DLP-SLA Orthodontic 3D printer examples: Park Dental Research/Orchestrate Juell Flash OC, Envisiontec Vida, etc. MSLA utilizes an LED array as it’s light source together with an LCD photomask in order to shape the light image from the LED array. Like DLP, the LCD photomask is digitally displayed and composed of square pixels. The pixel size varies based on how the LCD photomask is manufactured, and individual pixels are deactivated on the LCD to allow the LED light to pass through to form the resulting layer. Thus, the XY accuracy is fixed and does not depend on how well you can zoom/scale the lens as is the case with DLP. MSLA Orthodontic 3D printer examples: Structo Orthoform (4Qube is the US distributor). Layers draw by a laser and those build with voxels are quite different so it is difficult to compare laser SLA with DLP-SLA and MSLA by numerical specifications alone, but you can begin to understand the slight differences in the end products. Since each entire layer is exposed all at once, rather than drawn out with a laser, both DLP-SLA and MSLA can achieve significantly faster print times than laser SLA. 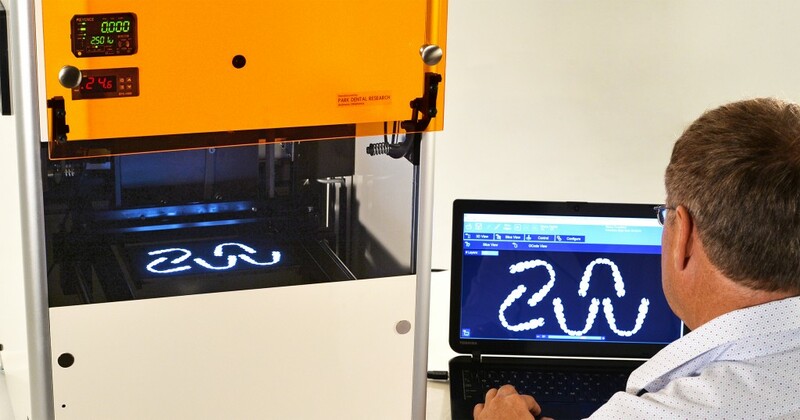 This increased speed is most noticeable with styles of 3D printing that allow for continuous light exposure, and when building certain kinds of objects. Hollowing out dental models with DLP-SLA and MSLA printers, saves material, but does not make a meaningful impact on print times. For large, fully dense prints, where the print will fill up most of the platform, each layer is exposed significantly faster with DLP-SLA or MSLA than it would be if drawn out by a laser. Also when printing very small and finely detailed objects, where it would take a laser a long time to move along all the coordinates, DLP-SLA and MSLA can also build at a faster rate. Although DLP-SLA and MSLA can build significantly faster, the speed of an individual printer becomes almost irrelevant when operating a 3D print farm at scale for digital orthodontics, capacity and redundancy are more important. 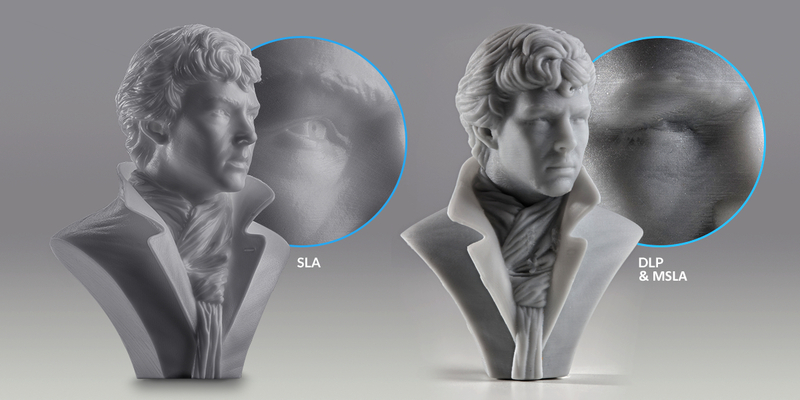 Additionally, both DLP-SLA and MSLA can introduce tradeoffs in resolution and surface finish with certain types of prints. DLP-SLA resolution depends on the quality of the projector, which defines how many pixels/voxels are available. For example, full HD is 1080p. The light source from the projector in must be focused to an image size in order to achieve a given X-Y resolution for each layer on the build platform. This can become a problem when printing numerous detailed objects together using small voxels. The projector only has a set number of pixels so in order to print in the greatest detail the projected image must be shrunk down. This can be managed with various means of optical correction, but as a general rule finer details on a DLP-SLA printer are best achieved by using a fraction of the overall build area, and large prints can only build at the coarsest resolutions for the projector. With MSLA, the pixel size of the LCD photomask is set based on how it is manufactured so individual pixels can only be turned on or off to block the light from the LED array. They cannot be shrunk to attain finer detail and surface finish on small individual objects, and the light from the LED array cannot undergo any optical correction without a lens. The LCD units that mask the LED light are vastly less expensive than DLP projectors, which can be advantageous, but those cost savings are not always passed on to the consumer. Laser-SLA print speeds tend to be on par with FDM-style (material extrusion) printers, but offer superior resolution and output quality and a wider range of materials compared to FDM printers. The general rule is that longer the path the laser must trace, the longer the print time, so hollowing out orthodontic models can reduce print times substantially. As opposed to DLP and MSLA, the print resolution of a laser SLA machine is completely independent of the build volume. A single print can be any size and any resolution at any location within the build area. Naturally, because 3D printed objects are made of layers, 3D prints often have visible, horizontal layer lines. However, because both DLP-SLA and MSLA render images using rectangular voxels, there creates an effect of vertical voxel lines. In the photo below, you can see these vertical voxel lines on the surface of DLP-SLA, MSLA sample print on the right as compared to the laser SLA print on the left. Because the voxel unit is rectangular in shape, voxels also have an effect on curved edges. A good way to conceptualize this is to think about how you would build a round shape out of Lego bricks—the edges will appear stepped on both the Z axis and the X-Y plane. This is known as Voxel Effect and it can be seen in detail in the photo below. For the purposes of printed orthodontic models that will be used to fabricate retainers, clear aligners, and other appliances, surface finish and voxel effect of the models themselves make little difference. Only the calibration of the machine and overall resolution of the printed model would matter. However, when it comes to direct 3D printed of intra-oral appliances like occlusal splints, dentures, pontics, etc. with the wave of biocompatible materials on the way, the quality of the surface finish may be very important to avoid having to do significant post-processing. By understanding the differences in 3D printing technology and their outcomes, it’s much easier to select the correct 3D printing solutions and design an appropriate workflow for your practice. Register for free membership for access to a basic 3D printing workflow for your orthodontic practice using time-efficient cloud based tools. When purchasing a 3D printer for your orthodontic practice, it is important to understand how the various styles of 3D printers differ from one another and how this can impact print speed and quality. Bottom Up Printing, where resin is cured through a window in the bottom of the vat by a light source from below. In this style of printing, the build platform is raised out of the resin vat and a ‘peel’ step is required between each layer in order to detach the cured material from the bottom of the vat. This ‘peel’ step is by far the slowest part of SLA printing with most modern light sources. Printer Examples: Formlabs Form2, Envisiontec Vida, Structo Orthoform, etc. Top Down Printing, where resin is cured by a light source above the vat and the build platform is lowered down into the resin vat. Rather than a series of alternating light exposures and ‘peel’ steps this style of printing uses continuous light exposure (like a movie) to cure the resin and can achieve exceptionally high print speeds due to the lack of a ‘peel’ step. Continuous Liquid Interface Production (CLIP), where resin is cured through an oxygen permeable window in the bottom of the vat by a light source from below. The oxygen layer over the window keeps the resin from sticking to the vat and continuous light exposure can be utilized because no ‘peel’ step is required. CLIP essentially is a bottom up printing technique without the ‘peel’ step, so top down style print speeds can be achieved. CLIP technology is currently very cost-prohibitive. Less resin is required to fill the vat if a part is being pulled out of the resin versus being lowered into the resin so less resin has to be purchased at once. Since a smaller resin vat is needed, bottom up printers can be built smaller and they tend to have fewer mechanical parts, such as leveling devices submerged in resin. Manufacturers see the resin vats and windows used for bottom up printers as a profit-generating consumable since they will have to be replaced somewhat frequently due to wear and tear. Register as a free Ortho Cosmos member to gain access to exclusive materials on digital orthodontics and other cutting edge topics. If you are looking to buy a 3D printer, you may feel overwhelmed by the abundance of choices on the market and these companies will engage in all kinds of smoke and mirrors to justify overpaying for a spec sheet that is the same as other printers so buyer beware. 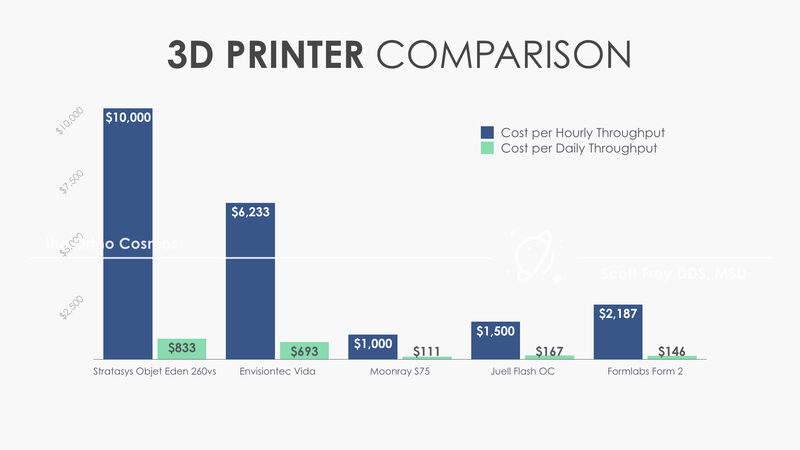 Without getting into all the nitty-gritty of 3D printing just yet (we will be doing a deeper analysis on the various types of 3D printers and printing software in future posts), I wanted share the most effective means of evaluating the true upfront costs of any 3D printer, which is to consider it’s price as a function of hourly or daily throughput. When you are operating at scale like an orthodontic lab, the overall speed of the individual printer is actually not that important because you will be batching prints and incorporate a lead time into production. You can set up a print farm with smaller, cost-effective 3D printers that has built in redundancy in case a printer breaks and a larger overall capacity than paying the same amount for a more expensive, “faster” 3D printer. All 3D printers currently operate at build speeds that allow for same day delivery, so this argument is a red herring. Additionally, ‘slower’ printers with larger build platforms will perform better with daily throughput because they will continue to work overnight. Hopefully, this information allows everyone to start onboard this technology in a cost effective fashion so it can start benefiting your patients! The free exchange of ideas is fundamental to both the health of the specialty and the advancement of patient care. Unfortunately, in the world of social media it has become all too easy for many orthodontists to recede into ‘safe spaces’ and intellectual ghettos where ideas are no longer challenged. We seek to provide an alternative. Opening the peer-review process for scientific publications in order to make the process more transparent and to invite more substantial challenges to scholarly publications. With the increasingly rapid pace of innovation in orthodontics, we are now finding that reviewers assigned the responsibility of vetting scholarly claims are not always equipped to pose pointed questions to the authors on new topics. Opening up the peer-review process provides for a more robust critique of publications and allow better science to prevail. Free, uncensored discussion and full transparency. Proxy-parents, tribal knowledge, and corporate interests are not the pathways to advancing the specialty. Meaningful progress can only come from a competition of ideas. We are very excited about this project and hope you’ll join us in improving the specialty better and educating the public.